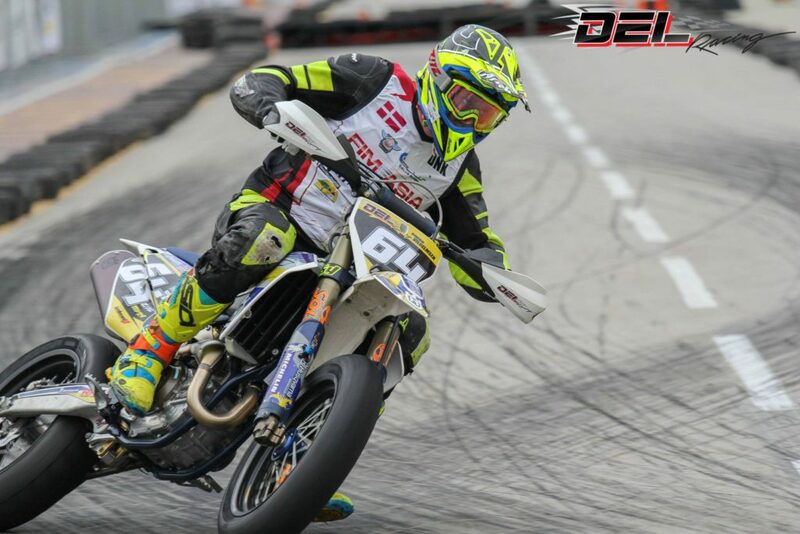 Simon Vilhelmsen #64 har været DEN DOMINERENDE Faktor i 2018’s FIM ASIA Supermoto Championship. MEGET DOMINERENDE! Der skal mere end almindelig viljestyrke og koordination til, hvis man skal vil gøre sig gældende på et andet Kontinent, i enhver given sportsgren på topplan! 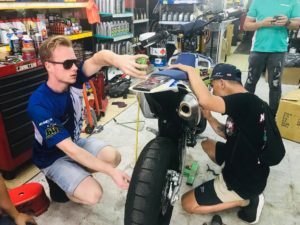 Team DEL Michelin Racing og andre af Simon Vilhelmsen’s Sponsorer, har naturligvis været en vigtig hjælp i kampen for at vinde mesterskabet i 2018 FIM ASIA OPEN Supermoto Championship. 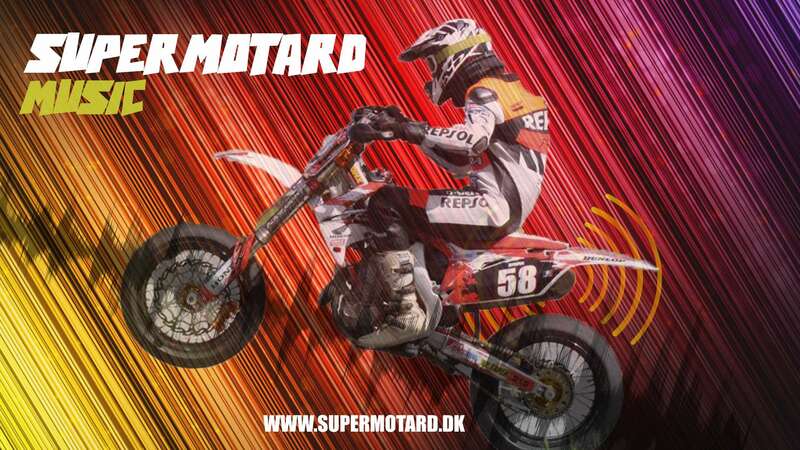 Ingen af de andre MOTARD topkørere fra andre egne af Kloden, har formået at køre ligeså råddent, ligeså vildt, og ligeså stærkt, som vores danske nykårede FIM ASIA Supermoto Champion, Simon #64 Vilhelmsen. Simon Vilhelmsen kom skadet til start i den sidste afdeling 5. og Finalen i Kuala Lumpur! 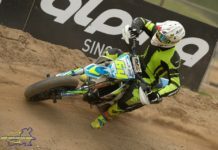 I afdelingen før i Singapore bragede kan sammen med den britiske SM kører Lewis Cornish som vandt FIM ASIA OPEN SUPERMOTO i 2017. Prominente navne var til start i FINALEN, bla. Jan Deitenbach fra Tyskland, de lokale helte fra Malasia: Muhammad Habibullah og Khairi Zakaria. Fra England Lewis Cornish og fra Japan bla. Makoto Arai og Takashi Sasaki. Fra Filipinerne var der Kenneth San Andres og Mark Reggie Flores. Tyskland’s Jan Deitenbach havde kvalificeret sig som nummer 1. England’s Lewis Cornish havde kvalificeret sig som nummer 2. Danmark’s Simon Vilhelmsen havde kvalificeret sig som nummer 3. Muhammad Habibullah fra Malasia havde kvalificeret sig som nummer 4. Makoto Arai fra Japan havde kvalificeret sig som nummer 5. I starten af heat1 var der vild kamp imellem Muhammad Habibullah og Lewis Cornish (sidstnævnte styrter). 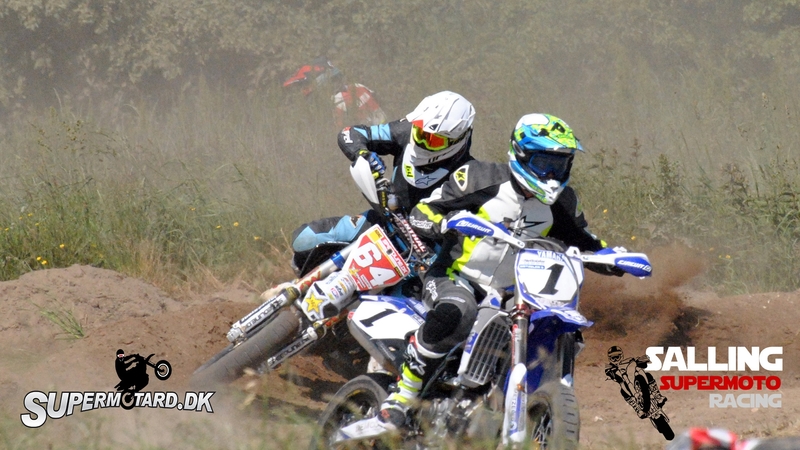 Simon #64 fightede sig til sejr i heat 1 foran Jan Deitenbach og Muhammad Habibullah. 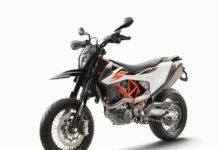 Monster Regnvejr trak ind over supermotard-banen i Kuala Lumpur! Efter Simon’s sejr i heat 1 og Lewis Cornish styrt i heat 1, Kunne Lewis Cornish ikke true Simon’s løb på samme måde mere. Simon Vilhelmsen kørte et lidt mere ” civiliseret heat 2″, uden at tage dumme chancer under regnskyllet’ på banen. 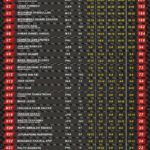 Med de mange point fra de tidligere afdelinger kunne Simon #64 køre taktisk klogt, og kom hjem i heat 2 på en niende plads. 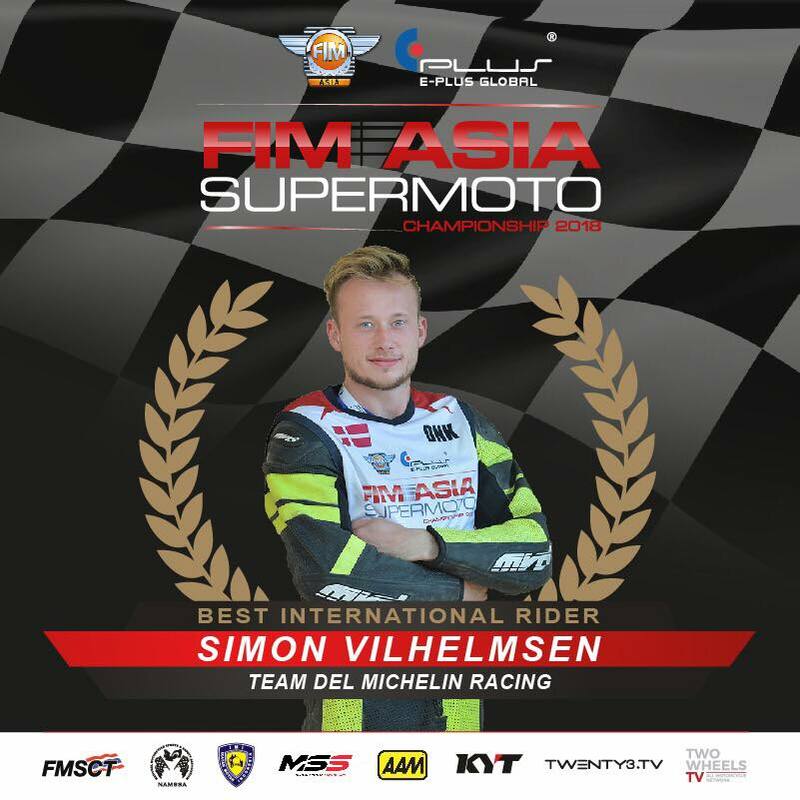 VINDER AF 2018 FIM ASIA SUPERMOTO CHAMPIONSHIP: SIMON VILHELMSEN ! It was mission accomplished for Team DEL Michelin Racing at the weekend, as Simon Vilhelmsen closed out the 2018 FIM Asia Supermoto Championship, which held its final round at Kuala Lumpur’s historic Dataran Merdeka (Independence Square). 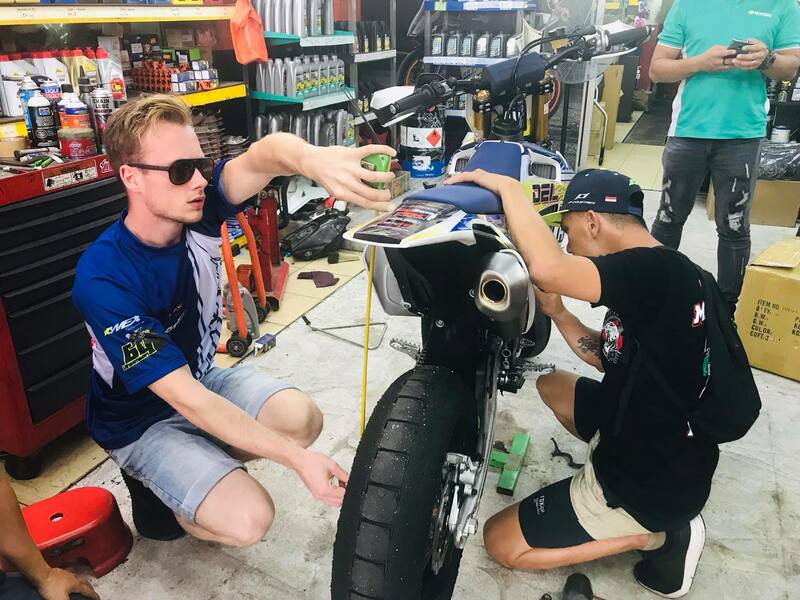 Hampered by injuries sustained when he was taken out by 2017 champion, Lewis Cornish, the previous Sunday, in Singapore, the Danish rider showed why he is ranked number four in the world with a courageous performance that brought the team the overall title in its inaugural season. 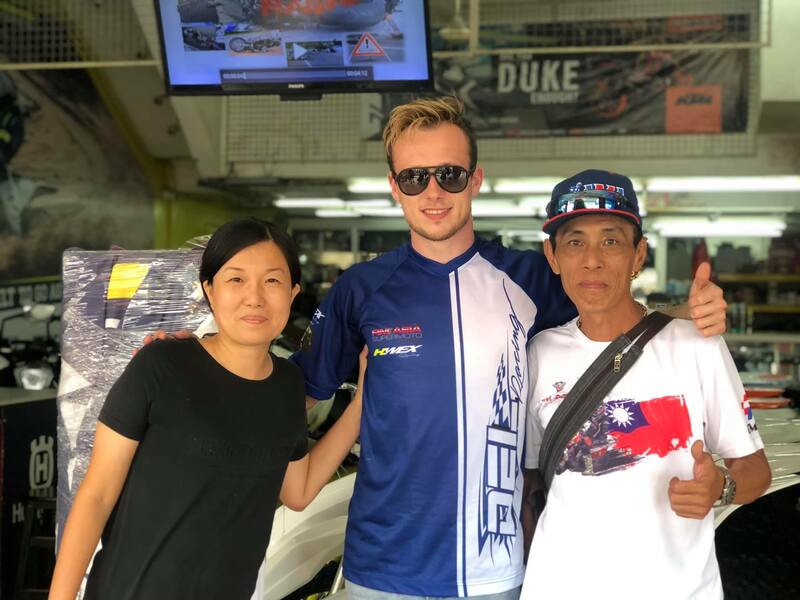 Standing between Simon and the championship was not only defending champion Cornish, but his Team KMTR running-mate, Jan Deitenbach, who had stunned the paddock with his speed and results on his debut at the previous weekend’s night race. He also faced Japan’s in-form Makoto Arai and Malaysian favourites, Muhammad ‘Gabit’ Habibullah, and Khairi Zakaria, who were determined to put in a strong performance for home fans. With the last round programme compressed into two days, Saturday saw plenty of action, with free practice and timed practice sessions, followed by qualifying and Superchrono. 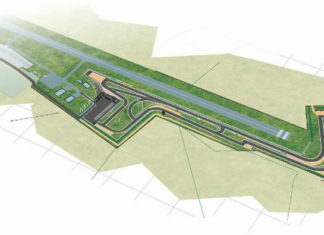 Deitenbach set the pace and won pole position with a lap of 0:36.019, which was more than three tenths clear of his British team-mate and seven tenths quicker than Simon. 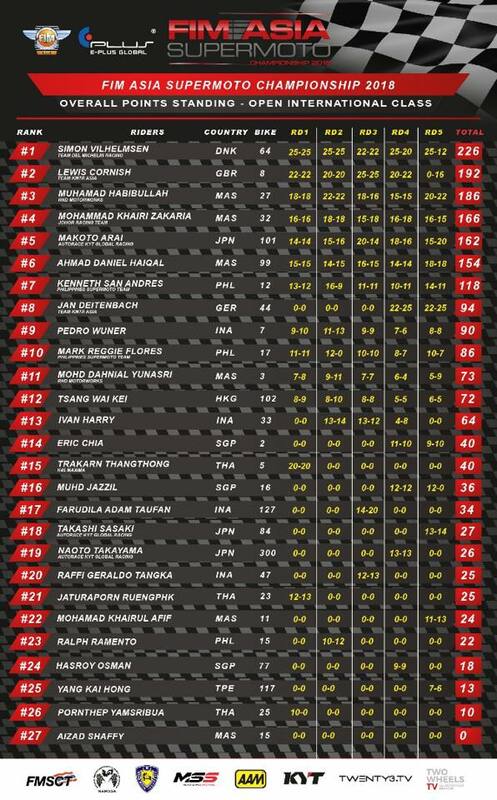 Gabit, Arai and Zakaria made up row 2 for Sunday’s races. In Moto 1, Deitenbach made pole position count and led into the first sequence of corners, while Simon got ahead of championship rival, Cornish, who found himself under pressure from a determined Gabit. A fall for Lewis left Jan, Simon and Gabit clear of the rest. 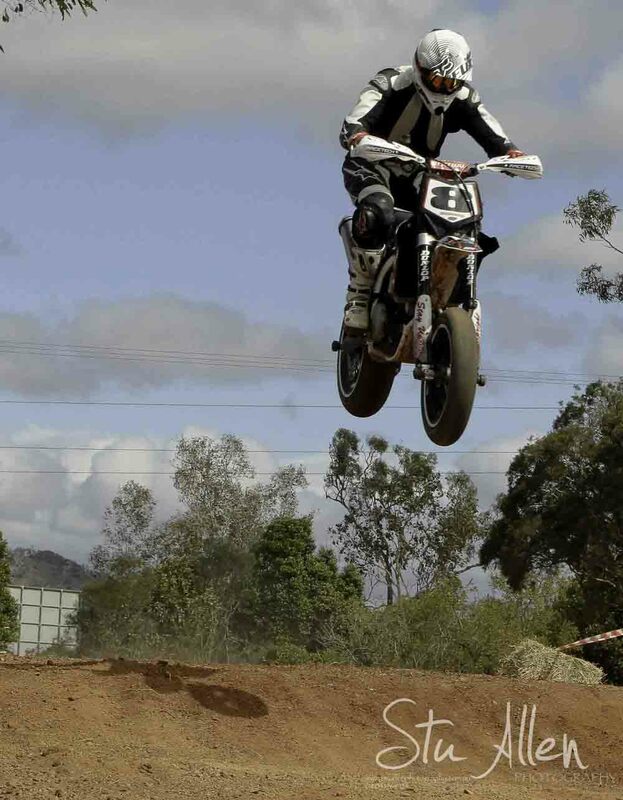 The intervention of a mechanical gremlin on Jan’s Husqvarna was enough to let Simon through to take the win, with the German holding onto second from Gabit. 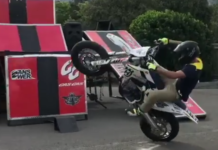 Simon’s sixth win of the season sealed the championship for Team DEL Michelin, as Cornish’s DNF had denied him the mathematical chance of taking the fight into the second moto. A classic Malaysian downpour soaked the track, making the surface treacherous for Moto 2. With the title already won, Simon played it safe to avoid further injury, while Arai, Gabit and Deitenbach put it all on the line for podium positions. After 20 minutes and two laps, Jan came through as the winner after a thrilling battle with Gabit and Arai capped off an excellent season by coming in third. Simon cruised around to finish ninth. 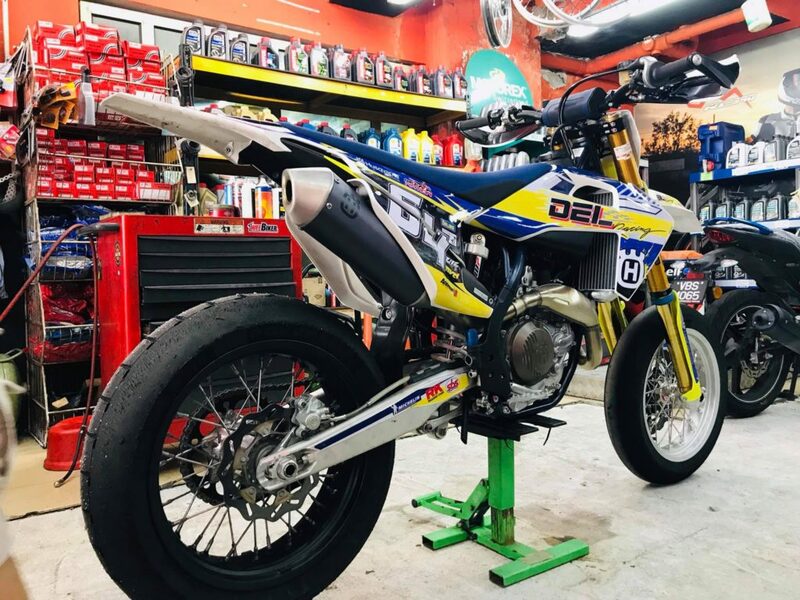 Team DEL Michelin Racing Principal, Dato’ Eric Loo added, “Winning the FIM Asia Supermoto Championship in our first season against such strong and determined competition is a fantastic achievement. We have fought incredibly hard to overcome technical challenges, injury problems and extreme weather and never waivered in our determination to achieve our goals. “Simon has shown not only his incredible talent as a rider, but the strength of character and physical courage that it takes to win an international championship. I am hugely proud of him and the whole team. I am also delighted with the winning partnership we have created with Michelin and thank them wholeheartedly for their commitment and support. It has been an amazing journey for all of us!”. 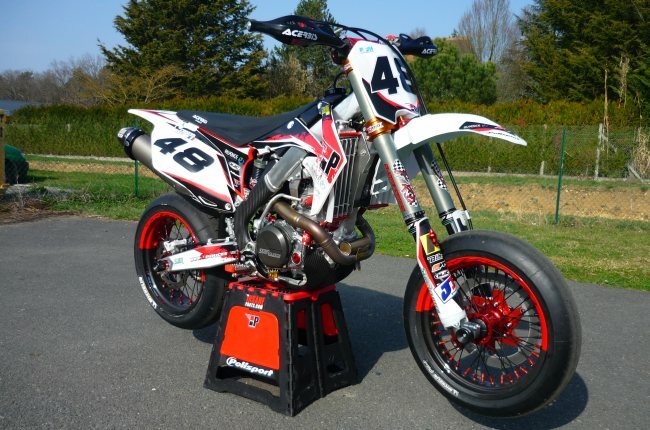 Previous articleHONDA CRF 450L 2019 ENDURO! 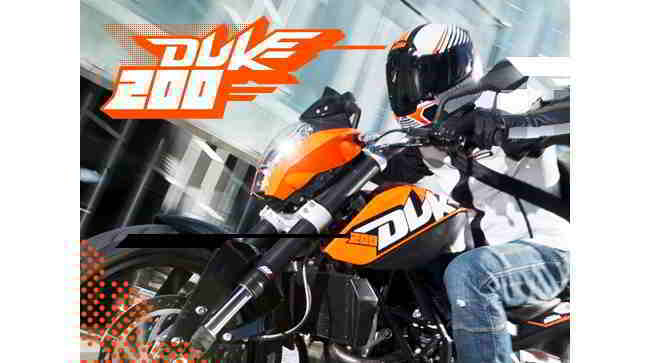 OFFROAD! 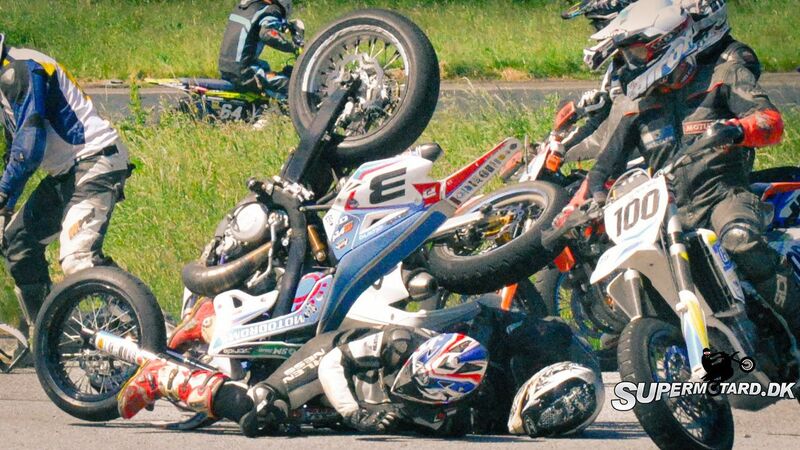 SUPERMOTO?